Presented at the 2016 Shot Show, the new model 0095bw by Zero Tolerance is the perfect blend of quality materials and modern design. The Zero Tolerance 0560 model designed by Rick Hinderer and awarded "Collaboration of the Year" at the Shot Show 2011, is now offered with an even more attractive appearance thanks to the BlackWashTM finishing introduced on market early last year. The latest Spyderco's product, created by Eric Glesser, son of the owner of the famous company of Golden (Colorado, USA), was presented as a prototype in March 2013 and became available on the market in 2014. The SR-1 by LionSteel, winner of the "Most Innovative Imported Design" award at The Blade Show in 2010 is a splendid mix of elegance and solidity. 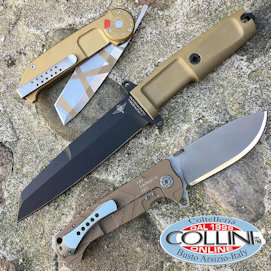 Since its debut in 2010 with the creation of tactical knives and made 100% in the USA, the collaboration between Hogue and Elishewitz immediately gave interesting results which are characterized by original designs and made with quality materials. 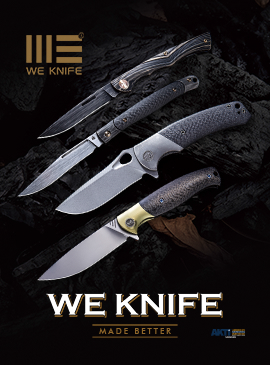 Amongst the most popular gentlemans' knives of the last decade, we cannot help but mention the Leek designed by Ken Onion and produced by Kershaw in over 12 configurations of blade and handle.